This entry was posted in Marvel Essentials, Spider-Man and tagged Ann Nocenti, Danny Fingeroth, David Michelinie, Greg LaRocque, Louise Simonson, Marc Silvestri, Mike Harris, Peter David, Spider-Man. Bookmark the permalink. It’s hardly original to day that Web of Spider-Man suffered particularly badly from a lack of a stable creative team. We’ve got the start of what turned out to be a seven issue run by David Michelinie here – that remained the book’s record until #57 and the art situation was just as bad. Dare I speculate that this title got set up by the outgoing editor, only for the new editor to come in with all his own ideas, ditch Louise Simonson at the outset but then took ages to find both a stable creative team and a direction? And the book’s name – “Web of Spider-Man” implies it’s about those around Spidey, almost “Spider-Man Family”. It certainly doesn’t scream “Peter Parker, Photographer at Large” as he travels around the US and the world. 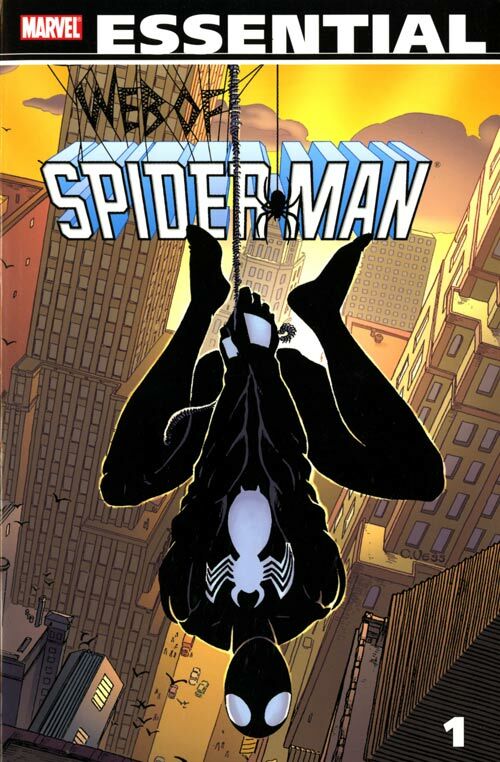 At a time when Spectacular Spider-Man had lost its distinctive edge (the Black Cat), the last thing that was needed was a third Spider-Man title trying to find its raison d’etre. Well said! I probably do not look at or consider the editorial changes on a title when assessing the creative changes.